The Chinese solar industry has faced numerous setbacks over the last few years but has managed to overcome all adversities to become stronger and bigger every year. The industry has seen anti-dumping duties and safeguard duties imposed by Europe and USA since 2012 in different shapes and sizes. It has also seen other countries forcing domestic content requirements (Turkey, Canada etc.). Internal competition has also been brutal at times leading to many of the largest solar manufacturers becoming bankrupt (LDK, Suntech, Yingli). These companies have faced two periods of intense oversupply leading to prices fall precipitously (and not recovering). However, they have managed to survive all these challenges. The companies have continued to build scale and reduce costs at a drastic pace. The pace of cost reductions has been so fast that it has made solar energy the cheapest source in some parts of the world. With continued cost reductions expected in the future. Solar energy is expected to remain the largest source of new energy additions for the future as well. Besides reducing costs, the companies have also started to develop new technologies (diamond wafer saws, low-cost p-type mono etc.) and improve process efficiencies. With a global distribution network, these companies have also built factories in numerous countries to avoid the trade sanctions. In 2017, the largest Chinese solar companies saw their shipments increase by 50% or more, making them even more dominant in the global solar market. With the overall industry growing by around 25%, these companies have grown at twice the industry rate capturing marketshare from non-Chinese companies as well as the smaller Tier 2 and Tier 3 companies. There is hardly any large non-Chinese company left in the solar industry and most of which remain have become niche, regional players. 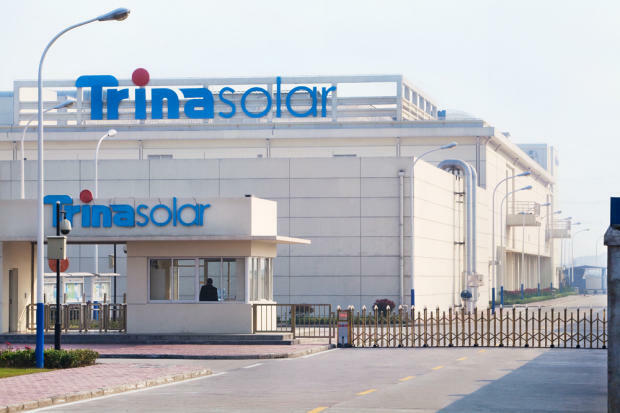 While Jinko Solar is set to cross the 10 GW milestone for the first time for a company in a single year, Trina Solar is looking at 9 GW while Canadian Solar and JA Solar close to hitting the 8 GW milestones. These companies have become giants even though their market shares does not reflect their dominance. The solar industry is set to consolidate finally in the next 2-3 years as the future of the small solar companies looks uncertain as they are unable to move up the technology curve.